I have some good new and bad news for you, but first the bad news…all of it! Your company is laying you off, ending what had been a long term climb up the ladder. In order for you to find a comparable position you’ll most likely have to move so you are entertaining several offers hundreds of miles from your home. Clearly, you’ll have to put your home on the market and hope that it’ll sell in the deepest real estate correction in many years. Worse, you’ll be on your own as far as getting rid of home. Your new company will pay a flat relocation fee, but they won’t help you sell your number one asset. Money is tight all over and your new employer cannot possibly afford to carry your home for many months, perhaps longer. The good news? 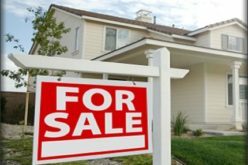 Well, if your home is in top shape and you live in a desirable neighborhood, you may be able to sell it sooner than what you think. Regardless of what you may have beenn hearing on the news, homes are buying and selling, just at a pace slower than this time last year. Of course, if you are planning to sell you’ll want to make certain that your home is in the best position to move quickly, which means one thing: how high is your home’s curb appeal? Curb appeal is defined as the attractiveness of a home as viewed from the street including how its look compares with other homes in the neighborhood. True, curb appeal is subjective as one person’s yard art is another person’s front yard trash! But, there are some things about the look of the house which can truly make it look nice especially for the person who might actually stop in if they are driving by. 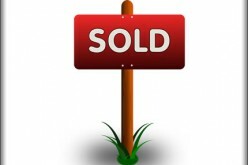 Real estate agents will tell you that curb appeal is the most important aspect to presenting your home for sale. This doesn’t mean that you won’t need to fix some things on the inside before it goes on the market, but it is those exterior polishings which can sell your home. Paint or Replace the Front Door — Very few things on the front of the house say “welcome” more than an attractive looking front door. In some cities around the globe, including Dublin, homeowners take pride in the unique styles and colors of their front doors. In the US, we’re understanding how important that is too as people replace old, rotted doors with weather resistant fiberglass doors. Prices range from $400 to $2000 on up. Consider upgrading the lighting too. Replace Windows — Some homeowners think that they have to replace all of their windows at the same time, but that can be expensive. Instead, spend the $400-500 or so to replace the 4-6 windows on the front of your home choosing those which are highly energy efficient and easy to maintain. Beautify the Grounds — Winter weather still has a lock hold on much of the nation, making it difficult to bring out the best in a lawn. What you can do now is make sure that leaves and branches have been picked up, that bushes have been trimmed back and if you live in a snowy area that walkways and driveways are cleared and dry. If you live in a warmer climate such in the Carolinas, then you know that pansys thrive in cool weather, giving your yard just right amount of color to help it get noticed. Miscellaneous — Obviously, you cannot paint a home in cold weather while new siding can be expensive. Before you tackle any project, speak with a real estate professional who can give to you an objective opinion on what should be done to your home before it is placed on the market. When time is of the essence, you want to be able to complete such projects within a week or two so that you can get on with your life. Of course, you’ll also want a real estate agent who understands the market, with a good grasp on current home pricing, how long homes are on the market, etc. You may have to aggressively price your home in order for it to sell a decision you’ll need to weight against pursuing employment in a different area of the country. Adv. – You can save on your next home purchase while still keeping your other expenses in line. 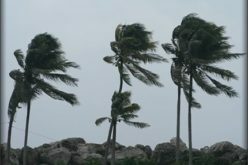 Why not allow SayLowerBills.com help you find ways to reduce your medical expenses, housing and debt obligations in 2009?